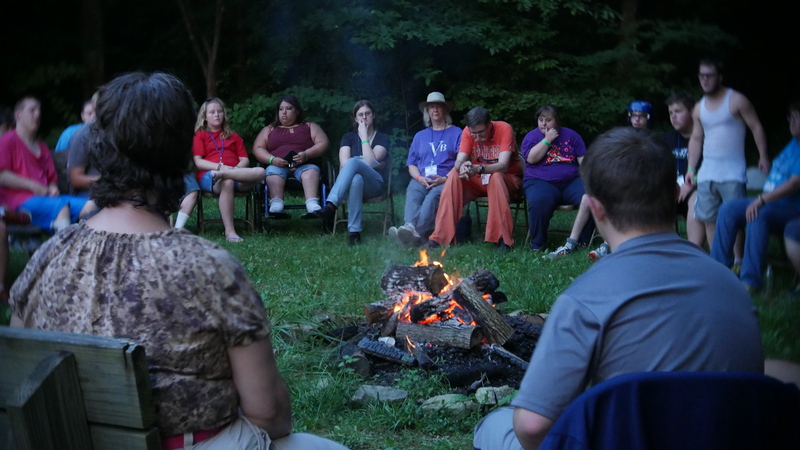 The campers wrapped up their last nightly lesson by taking communion and sitting around a campfire. They took prayer requests and sang praises to Him above, as well as eating some delicious s'mores. 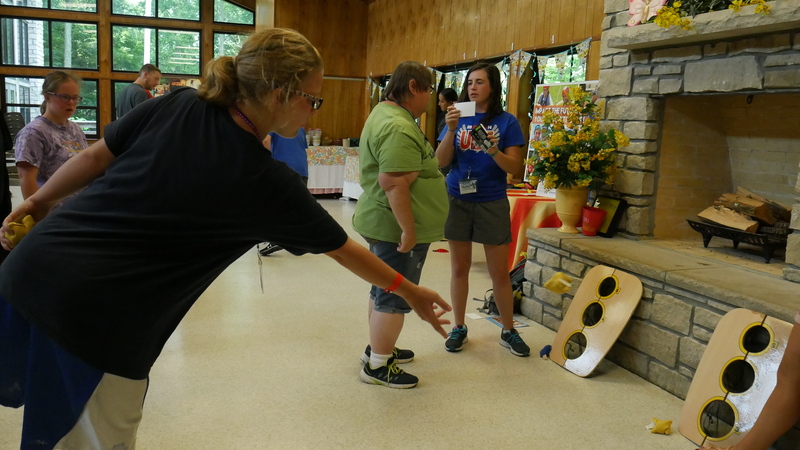 Today the campers had their carnival and got to play tons of games in order to win some awesome prizes. 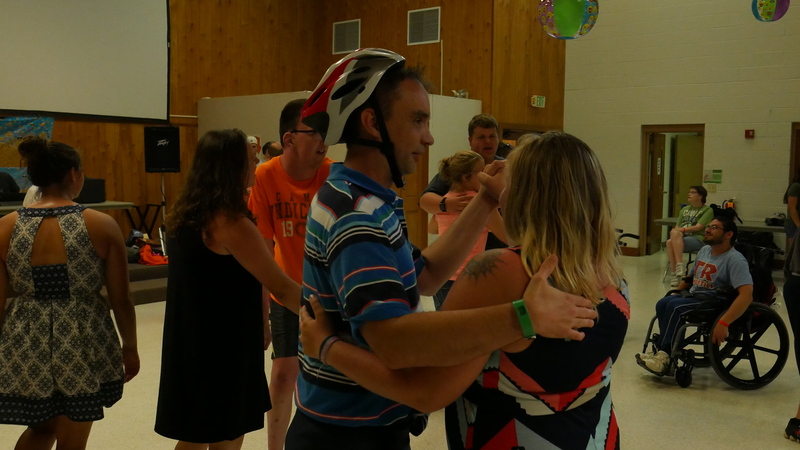 The campers got the chance to bust a move and go footloose tonight by having their camp dance! Today during the lesson, the campers continued talking about their uniqueness in the world. 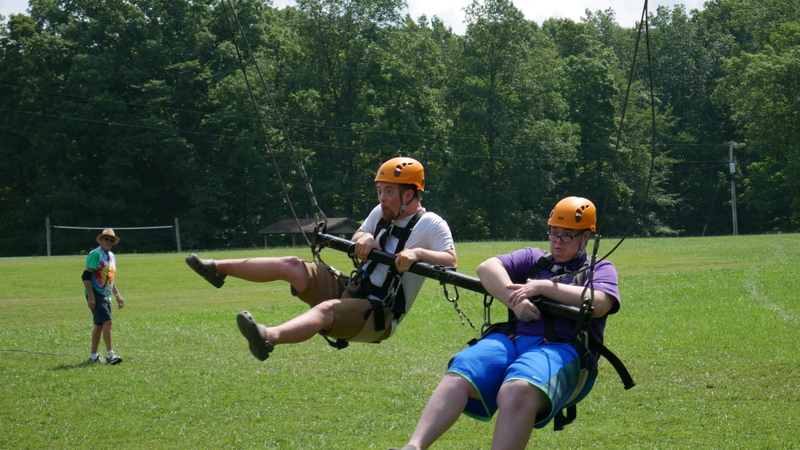 Today some of the campers went down the zipline to catch a nice breeze on the hot day! Although some were scared, the counselors and staff were there to remind the campers that God had a hold on them and was going to be with them the whole way. 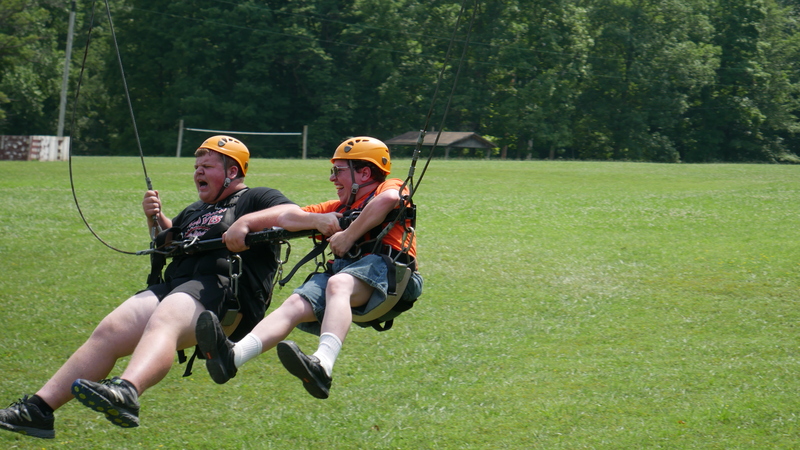 The last group of campers went up on the swings today and enjoyed the cool breeze and adrenaline rush! Check out more photos of the swings and more by clicking the picture above or button at the top of the page. Today the campers began the story of Moses, beginning with the story of Moses as a baby. 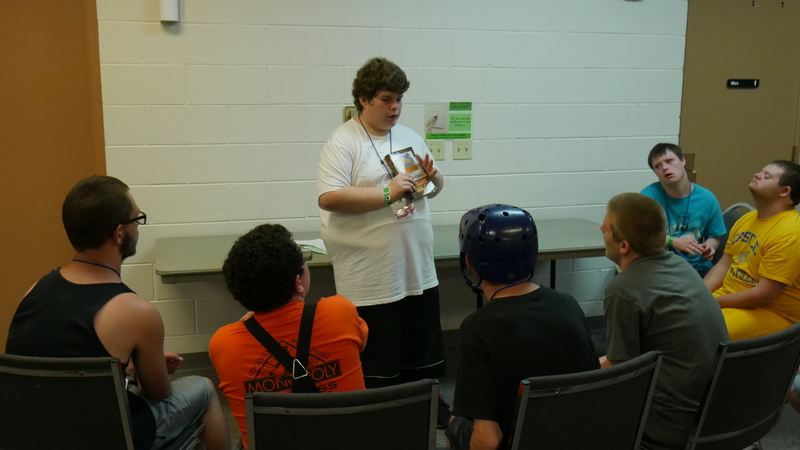 The campers kicked off the week by talking about putting on the armor of God and serving him throughout their lives. 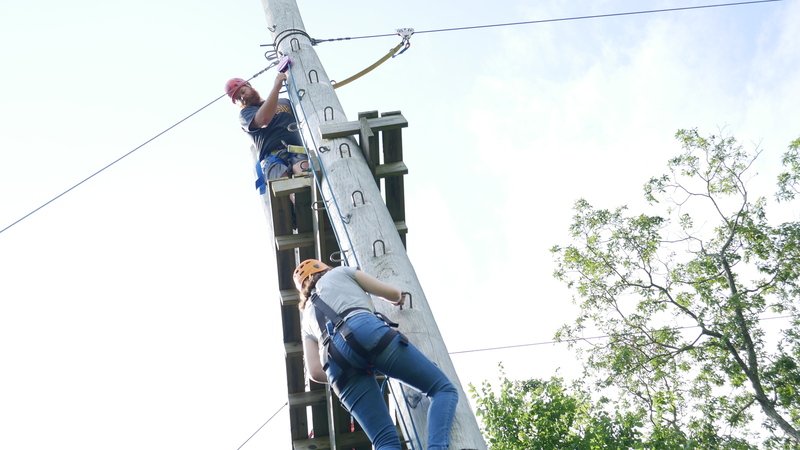 Today the first group of campers ventured over to the giant swings! 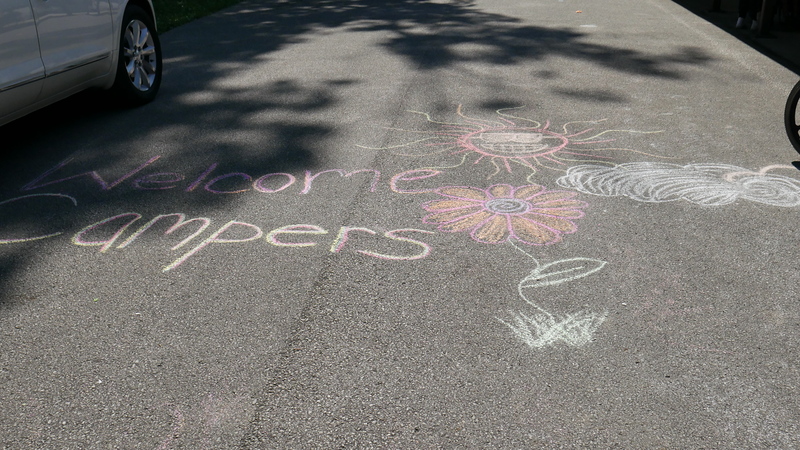 All of our campers arrived safely today, ready for an exciting week of camp and to see God work in amazing ways.